Two weekends ago, we celebrated a very special event: Kelly and Adam's wedding! Anyone who knows Kelly and Adam will not be surprised to hear that their wedding weekend was full of love, laughter, dancing, drinking, and general merriment making. And while of course I had an amazing time at the wedding itself, one of my favorite parts of the weekend was our girls lunch and mani/pedi session following the rehearsal. Kel chose Serratto as our lunch spot and I think it was a great choice! Serratto serves Mediterranean cuisine with a focus on local ingredients. 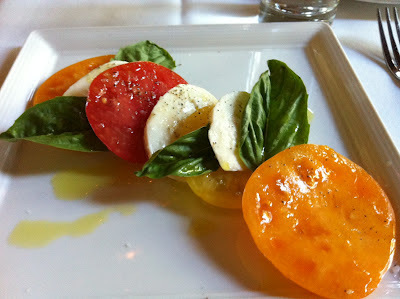 The day we were there, they were proudly displaying a huge platter of giant heirloom tomatoes- yum! Serratto also has a great ambiance- bright, airy and elegant. 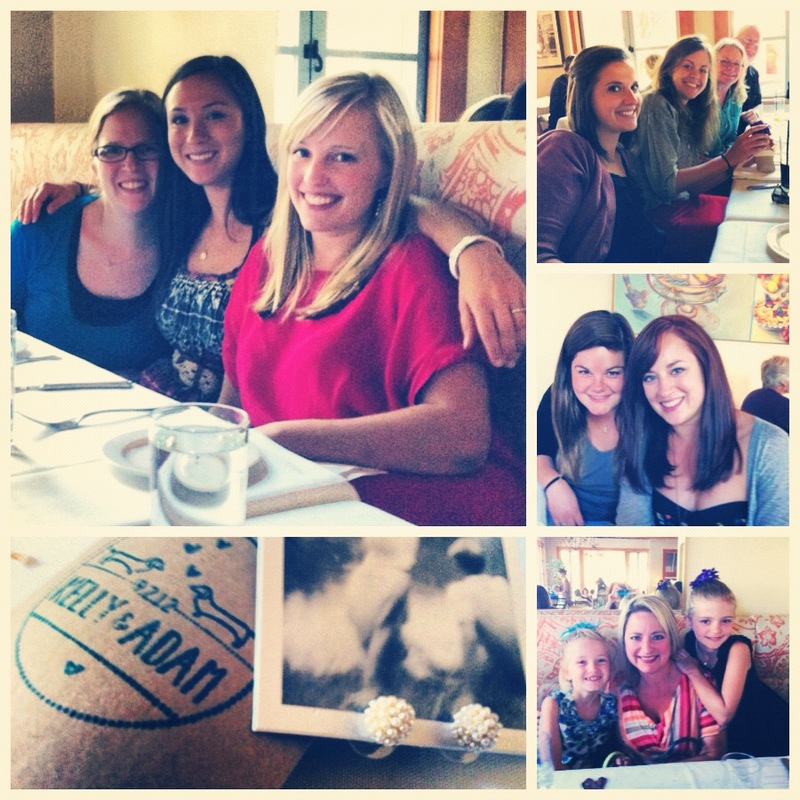 Perfect for a celebratory lunch with the girls! 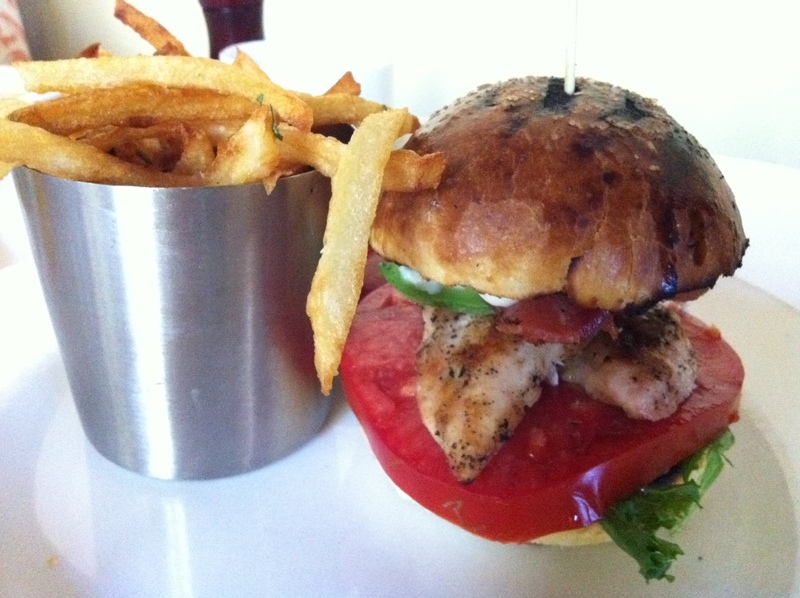 Grilled Chicken Sandwich ($11) on brioche with bacon, avocado, lettuce and tomato. Caprese Salad with fresh mozzarella, tomatoes, basil and olive oil. 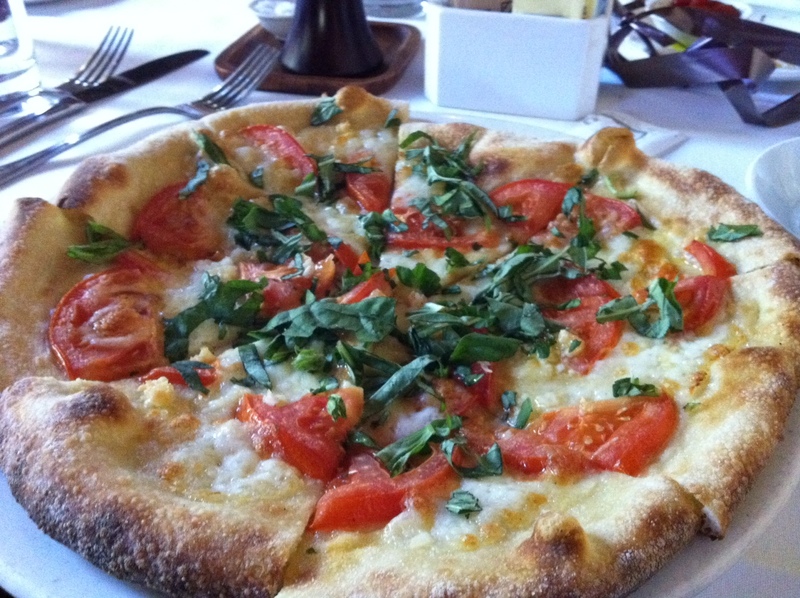 Pizza Margherita ($10) with fresh mozzarella, tomato, garlic and basil. 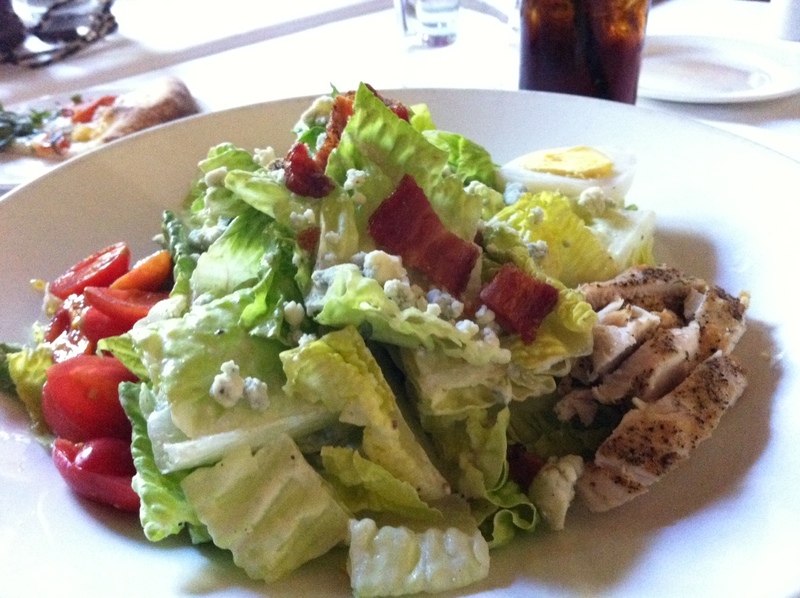 Cobb Salad ($12) with romaine lettuce, grilled chicken, bacon, avocado, tomato, blue cheese, sliced egg and blue cheese vinaigrette. 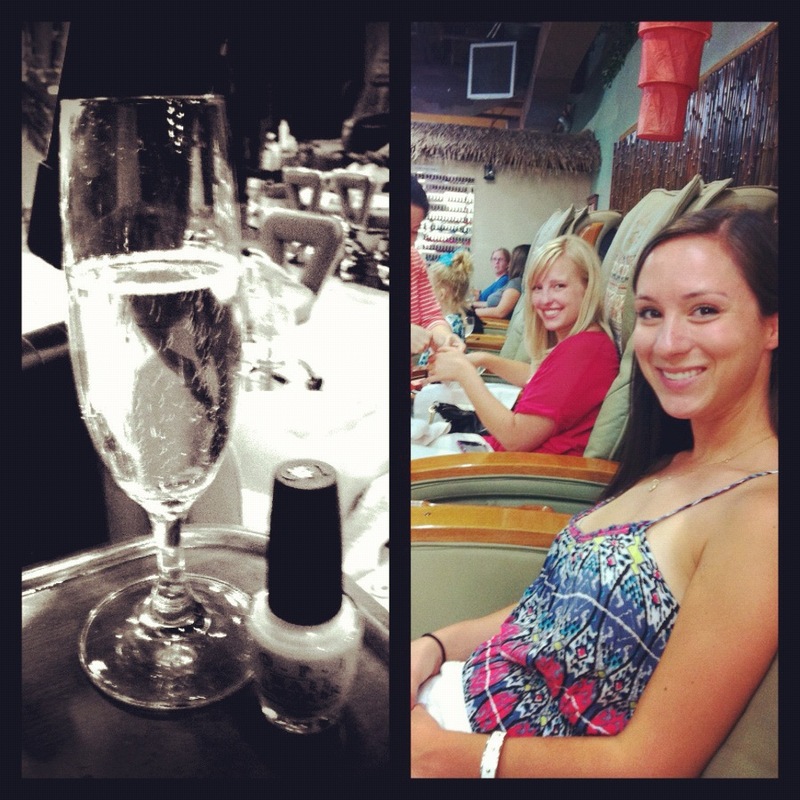 After our tasty lunch, we headed out to get mani/pedis at Oasis Nails & Day Spa. $30 mani/pedis + a complimentary glass of champagne = another great choice, Kel! I'll also share a look at some of the special little details from the rehearsal dinner which took place later that night. 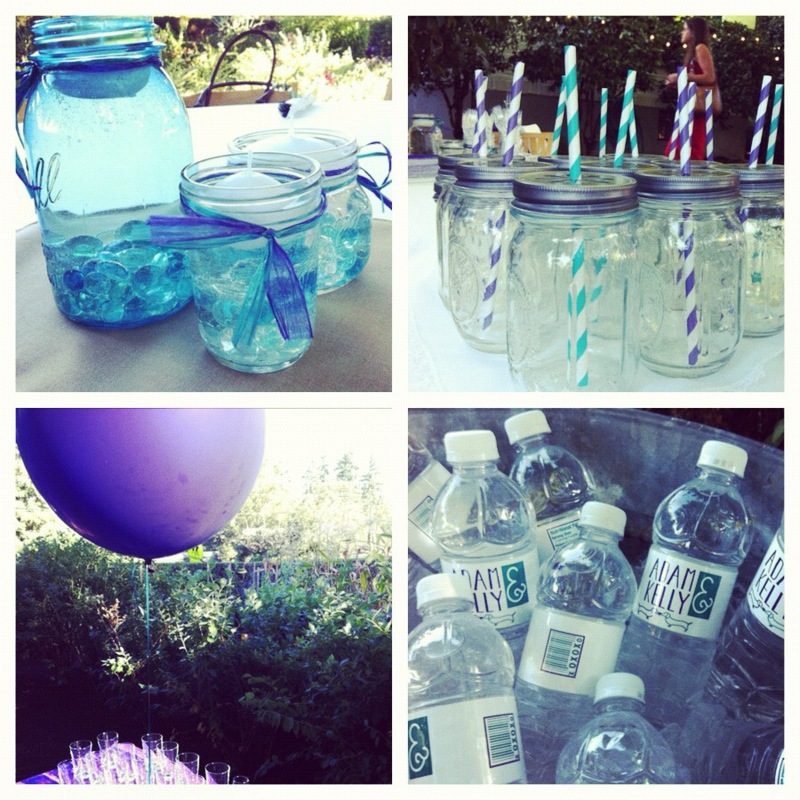 Mason jars, striped straws, giant balloons, custom water bottles. So cute! 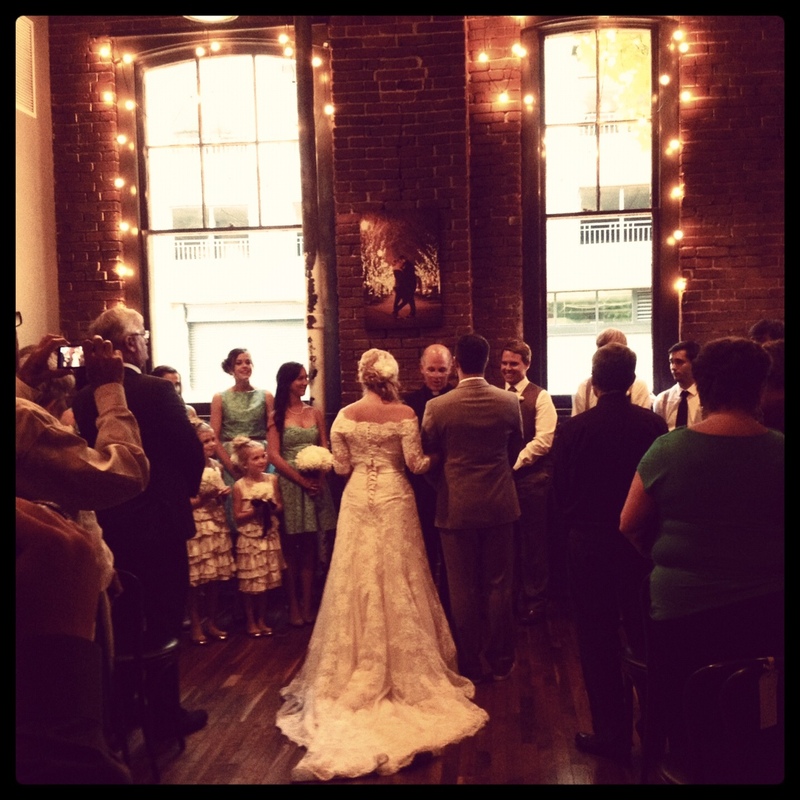 Congrats again, Kelly and Adam! Cheers!